56% off the cover price! A great price for a terrific book! 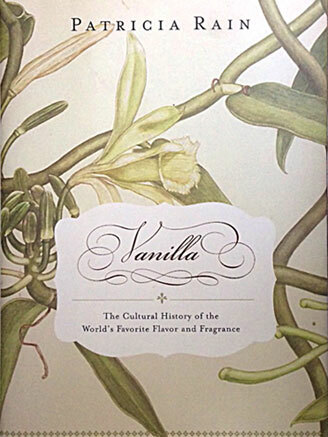 Vanilla: The Cultural History of the World’s Favorite Flavor and Fragrance is the first book ever that tells the story of vanilla from early Mesoamerica to the moment. Vanilla explores the captivating history of vanilla’s journey from Mexico to the courts of Europe, where Queen Elizabeth I flavored everything with vanilla and scientists announced its power as an aphrodisiac. Vanilla arrived in the United States by way of Thomas Jefferson, who fell in love with it in Paris. Tales of vanilla’s glorious reign in Mexico and its demise, precipitated by the Mexican Revolution and the development of plantations in Madagascar are followed by its surge in popularity during the Prohibition and beyond. Vanilla ends with the entreaty to support pure vanilla as, increasingly, corporations substitute cheap imitations for the real thing. Each chapter includes recipes based on the time period or the various countries and cultures that cultivate vanilla worldwide. The book concludes with great tips and recipes for using vanilla in sweet and savory dishes. Vanilla is a must-have resource for everyone who loves good food!